Research undertaken by the CRC for Construction Innovation has found that government policies which attempt to leverage social outcomes on public construction contracts achieve mixed results in the delivery of net social benefits. Construction Innovation’s Multi-Outcome Construction Policies project was proposed by the Western Australian Department of Housing and Works in order to review the effectiveness of the Department’s policies which aim to deliver social and community benefits that are leveraged on government public works contracts. The costs and benefits of using public construction contracts as a tool to achieve social and community goals has not been thoroughly research in Australia. This is likely due to the relatively recent phenomena of contracting out public works, which were previously managed in-house. Most available studies concentrate on the measurement of cost savings achieved through privatisation, which was the focus of policy debate in the 1980s and 1990s. Relatively few studies have addressed the ability of contracting arrangements to ensure the delivery of desired ‘quality’ outcomes, or the costs of achieving these outcomes via contracting arrangements. The basic principles of welfare economics – and, in particular, cost-benefit analysis – require that the sum of the social costs of a policy intervention be justified by its contribution of social benefits. In the case of training policies, the desired benefits include an increased supply of skilled construction labour. For local employment policies, the aims are to improve opportunities for local enterprise and employment development. Indigenous employment policies seek to secure positive economic outcomes for indigenous communities. Percent-for-Art policies aim to increase the stock and quality of public art. Construction Innovation’s national industry and government Multi-Outcome Construction Policies research team, led by Dr Siobhan Austin of Curtin University of Technology, undertook a comparison of multi-outcome construction policy approaches adopted in Western Australia and Queensland. 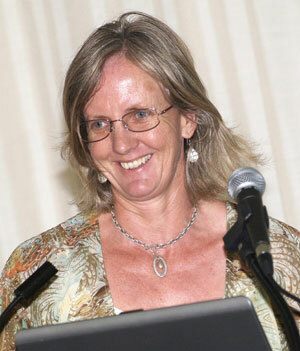 Researchers undertook an analysis of 2519 government non-residential construction contracts in Western Australia awarded between 1997 and 2006 and undertook qualitative interviews with key stakeholders in government and industry to provide feedback on the effectiveness of these policies in achieving policy objectives. The research included an analysis of social policy impacts on tendering and bid activity. This is especially relevant in the WA context, where the state is undergoing a resource boom and where, in 2006, 75% of all non-residential construction work was generated by the private sector. The evidence compiled by the research team on the leveraging of social outcomes on public construction projects raises substantial concerns about the net social benefits of many current interventions. Several interventions appear to involve a ‘light’ approach to the imposition of training or employment obligations on contractors. As such, they have the advantage of keeping administrative and additional contracting costs to a minimum. However, positive impacts of the policy interventions on training and employment outcomes also appear to have been very small. However, comparison of the policy approaches adopted in Queensland and WA, which share common social and economic goals, has yielded some insights into possible improvements. The research also provides valuable information for other jurisdictions to review their current leveraging of social outcomes on public works contracts. Generally, the project has highlighted that in the absence of strong industry commitment to policy objectives, policy interventions are likely to result in high levels of avoidance activity, substantial administrative costs and very few benefits. Thus, for policy action on, for example, training or local employment to be successful, compliance issues must be adequately addressed. Currently it appears that pre-qualification schemes that rely on measuring, for example, the training investments of contractors within particular projects, do not achieve high levels of compliance and involve significant administrative costs. Alternatives need to be developed to these policies. One possibility is a levy on each public construction project – set as a proportion of the total project costs. Although a full evaluation of such a policy alternative was beyond the scope of the project, it appears to offer the potential to minimise the transaction costs on contractors whilst enabling the creation of a training agency dedicated to improving the supply of skilled construction labour. The higher levels of resourcing for Indigenous Employment Policies in Queensland, together with the adoption of employment and training targets for specific indigenous communities, appears to have been more successful than the WA approach, based on tender preference. Similarly, the resourcing of an Industry Capability Network in Queensland, together with the adoption of a flexible approach to the application of the Local Employment Policy, appears to avoid a number of the problems experienced with the WA Buy Local Policy. The Percent for Art policy in WA, where up to one percent of construction costs for public buildings are allocated to the commissioning of art work, received positive feedback and unexpected benefits. The main costs associated with the policy were perceived as being time and artwork maintenance. The results of the multi-outcomes research project also highlight the need for sensitivity to project circumstances in the development and implementation of polices for public construction projects. Ideally a policy framework would have the flexibility to respond to circumstances where contractors share a commitment to the policy objectives and are able to identify measurable social outcomes from the particular government projects they are involved in. This would involve a project-by-project negotiation of goals and performance measures, which is likely to only be practical for large, longer term projects.